About Us — The Krausz Companies, Inc. 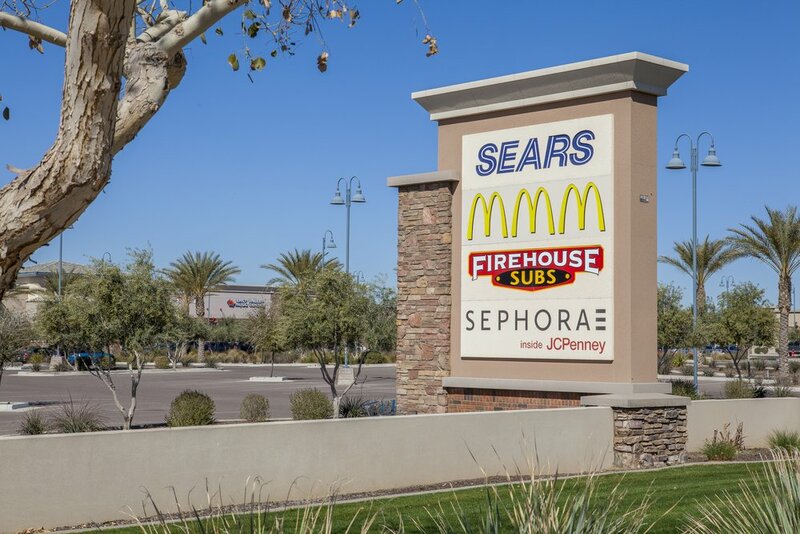 The Krausz Companies specializes in the acquisition, development and management of high quality, well-located retail, office, industrial and mixed-use properties throughout the United States. With a proven track record that spans more than four decades, The Krausz Companies is a premier real estate investment and development company with a reputation built on innovation, experience and quality. The Krausz Companies' in-house structure has proven benefits that result in well-conceived projects, timely implementation, maximum profitability and long-lasting relationships with tenants, lenders, government agencies and communities. An experienced team of in-house professionals performs all aspects of creating real estate value, including acquisition, entitlement, design, project finance, construction administration, leasing, marketing, asset advisory, property management, and disposition. Believing in a direct approach, The Krausz Companies' principals are involved firsthand in every project. The principals analyze real estate opportunities and expedite well informed decisions to maximize value. This process provides timely and certain execution. Ron’s leadership is based on over 40 years of experience in all aspects of the company’s business. Drawing on his extensive real estate background and legal training, Ron Krausz is heavily involved in development and investment strategy, as well as overseeing acquisitions, dispositions, and finance. Ron holds a Bachelor’s degree from Yale University and a Juris Doctor from UC Berkeley Boalt Hall, and is a member of the California State Bar. David Pyle has been instrumental in the design and construction management of Krausz Companies’ major projects since 1991. Working closely with architects, contractors and local communities, David has handled entitlements, design and construction for much of the company’s new construction over the last 3 decades. A key member since 1992, Jay Krigsman develops and implements strategic leasing programs, assists in property acquisitions, oversees the company’s property management teams, and serves as a principal in various projects. Prior to Krausz Companies, Inc., Jay had senior leasing responsibilities at Birtcher Development, Co.
Jay holds a Certified Commercial Investment Member (CCIM) designation and a California Real Estate Broker's License. He is also an ICSC-Certified Retail Property Executive (CRX), and ICSC Certified Leasing Specialist (CLS). Jay received his bachelor's degree in Business Administration from the University of Maryland, where he concentrated in Urban Studies and Real Estate Development. Daniel Krausz works directly with in-house and outside counsel to oversee and implement the company’s legal affairs. Prior to joining Krausz Companies in 2008 Daniel represented clients in complex real estate transactions at the law firm DLA Piper. As an executive team member, Daniel works directly with lenders, purchasers, sellers and tenants to evaluate business opportunities and resolve legal questions. Daniel holds a BA in Economics from Swarthmore College, and a Juris Doctor from UC Hastings. He is a member of the California State Bar, a California licensed Real Estate Broker, and holds the Certified Commercial Investment Member (CCIM) designation from the National Association of Realtors. A savvy investor and entrepreneur, Elana Krausz draws on her experience to make informed, pragmatic decisions with Krausz Companies' long term goals in mind. Involved with commercial real estate development and asset management for most of her life, Elana has spearheaded and financed a variety of entertainment, real estate, and technology ventures. Don Russell brings more than 30 years of diversified real estate experience in acquisitions, finance, and due diligence. He is responsible for property financing, oversees the accounting department, and assists with property acquisitions and sales. Before joining the company, Don was heavily involved in the financial operations for The Fox Group/Metric Partners, and Prometheus Development Co.
Don holds a BS in Finance from the University of Colorado and is a licensed California Real Estate Broker. Through an in-house team structure and detailed, hands-on approach to property acquisition, construction finance, development, marketing, asset advisory, property management and disposition, The Krausz Companies effectively manages each and every step of an investment to maximize value. The Krausz Companies' in-depth knowledge and market expertise help us consistently evaluate market trends, respond to changes, capitalize on opportunities, and optimize investment performance. The Krausz Companies develops high quality, innovative projects suited to tenants' needs while improving the cities and communities around them. The Krausz Companies is responsible for having developed or redeveloped more than $1 Billion of commercial property throughout the United States, including Alaska and Hawaii. Specializing in retail, office, and industrial properties, the Krausz Companies has repeatedly demonstrated the ability to create value in all stages of the economic cycle. The Krausz Companies boasts over 45 years in developing, managing, and repositioning more than $1 Billion in commercial real estate in all stages of the economic cycle. Our in-house team personally evaluates each asset for unique, expert approaches that extract value, reduce risk, and maximize returns. As partner or advisor, The Krausz Companies can help guide you through complicated commercial real estate deals in today's changing market.